Pizza Palace & Burger Bar opened for business on Church Street, Wincanton, on Monday 19th June, in the shop that used to be Amin's Indian restaurant. Business partners Alex and Mehmet with their chef Tyson are looking forward to serving the people of Wincanton and surrounding area. 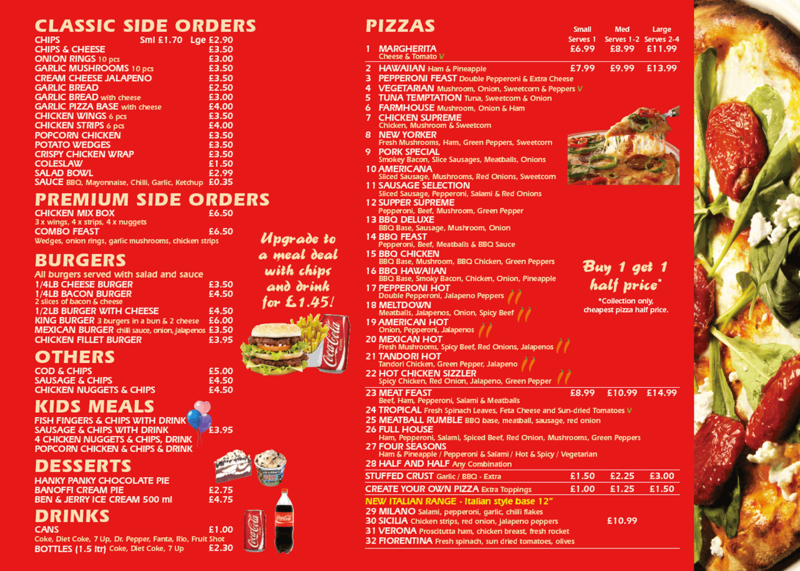 Scroll to the bottom for the full menu. 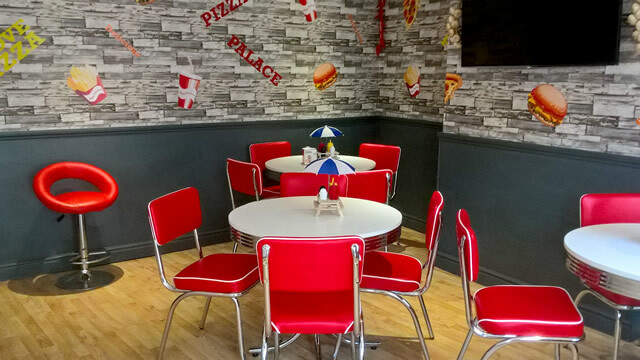 They offer a wide range of pizzas, as well as burgers, sides and kids' meals, and pride themselves in only using fresh ingredients, including the pizza dough which is freshly mixed each day on the premises. You can even choose your crust, including stuffed, and add or remove individual toppings. 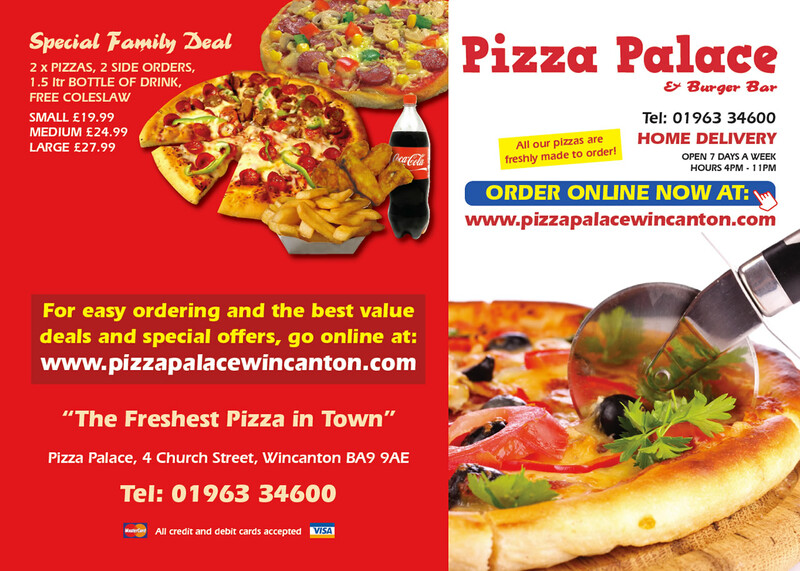 Like more and more businesses they have embraced modern technology, and claim they receive most of their orders via their website, pizzapalacewincanton.com. You can place your order from the comfort of your own home, and then either collect it or take advantage of their local delivery service. 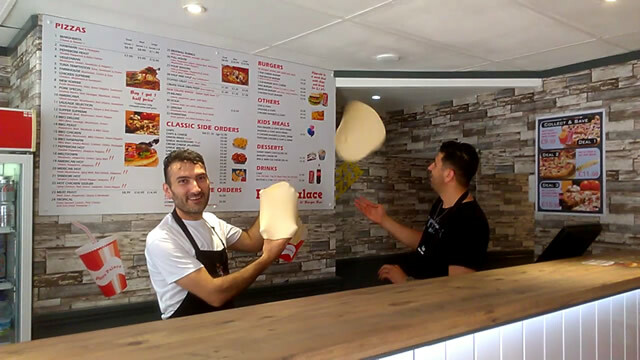 The website is fully functional, so you'll be able to choose your crust and toppings, and it will even tell you how long it'll take to prepare so you'll know when to collect. 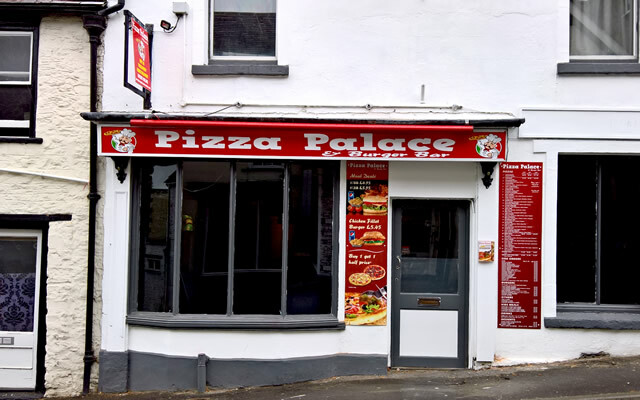 Pizza Palace is open seven days a week between 4pm and 11pm. At the top of Church Street, oposite the dentist, the shop is easily accessible from any area of the town, and close to parking facilities. If you need more information you can phone the shop within normal working hours, or send them a message from their website. Here's the full menu. Click to enlarge each page, or here to download the full PDF.